Mohamed D. Hussein Police Hospital, Dongla, Northern Sudan. Hussein MD, Alonazi NA, Mohamed S. Prevalence of obesity, overweight, underweight and stunting among school children in Argo city, Northern Sudan. 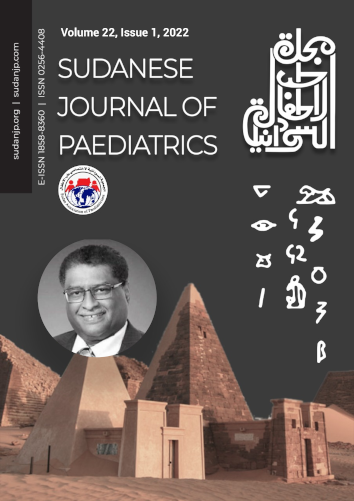 Sudan J Paediatr. 2018;18(2):15–19. School children pass through great physical and mental changes, which affect both their growth and school performance. We aim at determining the prevalence of obesity, overweight, underweight, and stunting among the primary school children in Argo city, Northern Sudan. This cross-section study recruited all primary school children aged 6 to 14 years in the city. Out of 1,387 participants, 1,223 were enrolled in the study (88.2%). The rest were excluded because of age over 14 years or parental refusal to participate in the study. Growth analysis of this cohort showed that 19 children (1.5%) were obese, 76 (6.2%) overweight, 56 (4.6%) underweight, 45 (3.7%) severely underweight, and 46 (3.8%) children were stunted. These findings indicate that establishing intervention measures to prevent risk factors leading to obesity and overweight is highly needed. School children; Obesity; Overweight; Underweight; Stunting; Sudan. The nutritional status of school children is an important indicator of community health [1,2]. While underweight and stunting are major health problems in developing countries, overweight and obesity are emerging due to sedentary life. The prevalence of overweight and obesity among school children ranged from 7% to 45% in the Eastern Mediterranean Region (EMR countries) [3,4]. In Sudan, the rate of overweight and obesity in primary school children was found to be 14.8% and 10.5%, respectively . Stunting is the most severe and common form of malnutrition in children. It is estimated that more than 165 million children were stunted, with the majority of them living in the developing countries . In sub-Saharan Africa, the number of stunted children increased by 12.4 million between 1990 and 2015 . Sudan is one of the poorest counties in Africa. Therefore, Sudanese children suffer many nutritional health problems. A previous study of school children in the rural area in the northern state reported that 7.1% were stunted and 23.1% were underweight . Not only the prevalence of malnutrition is high in the northern state of Sudan, but also the prevalence of diabetes was alarmingly high as reported by Altom et al. [8,9]. These disorders may result from the changes in the demography as well as the lifestyle of the population in Northern Sudan.  In this report, we aimed at determining the prevalence of obesity, overweight, underweight, and stunting among primary school children in Argo city, Northern Sudan. This descriptive cross-section study was conducted in September 20016 and enrolled all primary school children aged 6–14 years who live in Argo city, Northern Sudan. Exclusion criteria included age above 14 years or parental refusal to participate in the study. Argo is located on the east bank of the river Nile, 40 kilometers north to the capital of the state (Dongola). Around 10,000 people live in Argo, some of them are of Egyptian (white) descent while the rest are native Sudanese (colored). The educational and health facilities in this city include one hospital run by four medical officers and four primary schools, two for boys and two for girls, and two secondary schools, one for boys and the other for girls. The first author and two nutritionists held a one-day course and trained two teachers from each primary school on how to measure and report the height and the weight of the school children. The training was conducted by the first author including a demonstration of how to measure height, weight, and how to calculate BMI using standard methods and equipment. All measurements were taken first in the morning and completed in 15 days for all participants. The age of the participants was calculated from school records. BMI of each child was calculated and plotted on WHO BMI 5–19 years chart (WHO growth reference 2007). Z score > 3 SD was considered obese, 2 < SD overweight, < 2 SD underweight, and < 3 SD severe underweight. Consent was obtained from all parents or guardians of participants. We analyzed the data using the Statistical Package for Social Science (SPSS, Version 20). Qualitative data were expressed as numbers and percentage. A p-value of less than 0.05 was used to determine the level of significance, and multinomial logistic regression test was used for analyses. All children attending the four primary schools (1,387) were asked to participate in the study. One hundred and twenty-nine children were excluded because their parents declined to consent for the study and other 35 were excluded because their age was above 14 years. Data of 1,223 (88.2%) children were available for the analysis. Data showed that 50.1% (n = 613) were females, 51.3% (n = 628) of the study group were 10 years of age or less, 52.2% (n = 638) were native (colored), while 47% (n = 585) were of Egyptian descent (white), as shown in Table 1. BMI analysis revealed that 19 (1.5%) were obese, 76 (6.2%) overweight, 56 (4.6%) underweight, and 45 (3.7%) were severely underweight as shown in Table 2. Height for age analysis showed that 46 (3.8%) children were stunted and 14 of them (1.1%) were severely stunted (Table 3). Overweight is significantly common among children older than 10 years and children of Egyptian descent with a p-value of 0.001 and 0.00, respectively. On the contrary, underweight and severe underweight were significantly common among native Sudanese (colored) with a p-value of 0.005 and 0.02, respectively (Table 4). Severe stunting is significantly common among children older than 10 years of age (p < 0.05), as shown in Table 5. Table 1. - Characteristics of 1,223 school age children. Table 2. Body mass index of 1,223 school age children. Table 3. Height for age of 1,223 school age children. Table 4. Body mass index of 1223 school age children according to age, gender and color. The prevalence rate of obesity and overweight in school-aged children is comparatively lower than the prevalence rate reported in the rural areas in the same province as well as in the capital city (Khartoum) [7,10]. The prevalence of obesity in this study is also lower than that reported in other Middle East countries [4,11,12]. This prevalence of obesity may be explained by the lifestyle and the nutritional habits of the population in this area. Food consumed in this area is generally derived from natural and organic sources. Overweight in our cohort is significantly increased among children who were more than ten years old. This pattern is expected because of the hormonal changes and the growth spurt that occur at the teen&apos;s age . Table 5. Height for age of 1,223 school age children according to age, gender and color. Interestingly, overweight is more prevalent among children of Egyptian descent, while underweight and severe underweight are more prevalent among native Sudanese (colored). This pattern may result from the perception that families with Egyptian descent tend to have better income as most parents are merchants or employees with better income compared with the native Sudanese who are mostly farmers . Moreover, the two ethnic groups have different nutritional habits. Similarly, obesity is more prevalent among blacks compared with whites in the United States [15,16]. Our study also showed that the prevalence rate of underweight and severe underweight was comparatively lower than the prevalence rate reported in the rural area in the same province  and other regions of Sudan [17,18]. This growth status indicates that the nutritional status of our cohort who lives in this urban area is better than that of rural children in the same area. Also, the mixed ethnicity of our cohort with different socioeconomic status and nutritional habits compared with the homogenous farmer population who live in the rural area may have contributed to these differences in growth. It is clear that lifestyle, feeding habits, education of the parents, and socioeconomic status affect the obesity prevalence more than color, race, or genetic factors [15–18]. Unlike the pattern in developed countries, the education level of the parents in the developing countries similar to Sudan showed a high incidence of overweight in children of highly educated parents [15–18]. This may be attributed to the fact that a high caloric diet and fast food are easily accessible to high socioeconomic group compared with poor families in the developing countries [15–18]. However, in developed countries, fast food is affordable for the majority of the population, while a healthy balanced diet is more expensive [15–19]. In conclusion, this study showed that a total of 7.7% of the participants were either overweight or obese, while 8.3% were either underweight or severely underweight. These findings suggest the need to improve the school health program to detect the nutritional problems among school children and manage it early. Mohamed D. Hussein designed, collected, and did statistical analysis and editing of the manuscript. Noufa A. Alonazi and Sarar Mohamed did statistical analysis and editing of the manuscript. Muss TH, Ali E, Musa H, Khan A. Anthropometric parameters in children 5 to 15 years old in Khartoum state Sudan. J. Public Health Epid. 2013;5(8):313–8. Musaiger A. Overweight and obesity in the Eastern Mediterranean Region: can we control it. East Mediterr Health J. 2004;10(6):789–93. Osama A. Underweight, overweight and obesity among secondary school children in Khartoum. Ahfad J. 2007;24(1):59. Cynthia LO, Carroll MD, Fryar CD, Flegal KM. Prevalence of obesity among adult and youth: USA, 2011-2014. U.S. Department of health and human services. Centers for Disease Control and Prevention. NCHS Data Brief, No.219, Nov 2015. Nabag FO. Comparative study of nutrition status of urban and rural school girl's children Khartoum state, Sudan. J Sci Technol. 2011;12(2):60–8. Syahrul S, Kimura R, Tsuda A, Susanto T, Saito R, Fitheria A. Prevalence of overweight and underweight among school-aged children and its association with children's sociodemographic and lifestyle in Indonesia. Int J Nurs Sci. 2016;3(2): 169–77.